Product information "ALUKAP-XR Ridge Cresting"
Cast aluminium to rely on! 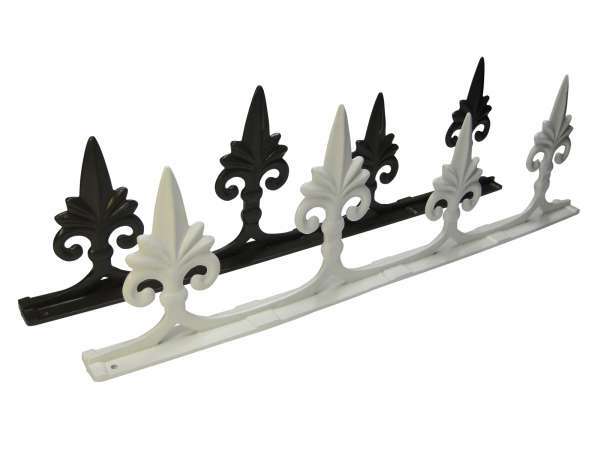 Attractive, cast aluminium cresting for use with ALUKAP-XR Ridge and Finials. Tough and long-lasting with durable powder-coated finish that is low maintenance and will look great year after year. Tough and long-lasting with a durable finish that will look great for years to come. ALUKAP-XR Radius End Cap is available in White, Dark Brown or custom RAL colour. Custom Colour Option - There's no problem if you want to match an existing RAL colour. Just choose 'Custom Colour' when ordering and contact us to provide the RAL code. Finish Powder-coated. White, Dark Brown or Custom Colour (specify RAL code). Cresting should be fitted to the Ridge Top Capping prior to fitting the Top Capping to Ridge Base. Slide cresting and finial into cresting channel. The above is offered only as a guide and not as complete fitting instructions for all scenarios. Related links to "ALUKAP-XR Ridge Cresting"
Customer review for "ALUKAP-XR Ridge Cresting"